1. To create and develop the maximum profitable sales of all company products that may be reasonably achieved in the assigned sales territory through regular and aggressive coverage of the customer base. 2. 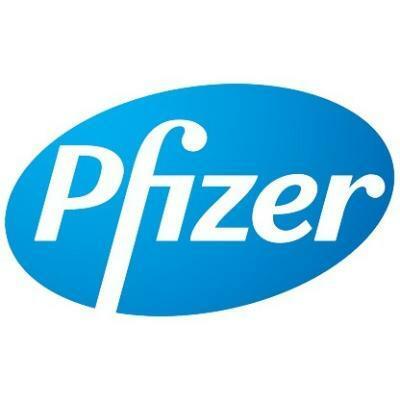 Ability to engage and create consumer awareness of the range of Pfizer Consumer Healthcare products in pharmacies and at consumer events and activities, through innovative sales approaches and creative display of product activations. 3. To ensure that all pharmacy staff is adequately trained and can recommend with confidence on the disease areas in which we operate, combined with the features and benefits of the Pfizer consumer product range. 4. To build and maintain the goodwill within the assigned territory so as to gain maximum understanding, acceptance and support for company products and policies. 1.1 Achieve 100% of set quarterly and annual sales targets. 1.2 Achieve a minimum monthly sales performance of 95% of target. 1.3 Negotiate the order to meet demand and expected off-take and “pull through” of stock. 1.3.1 Over-stocking of customers is not an acceptable practice. 1.3.2 Sell through the range to obtain optimum forward share and brand exposure. 1.4 Negotiate additional display areas and space, in line with marketing objectives, to accentuate the brand building activities. 2. Customer Service: Build and enhance the business relationship between PCH and its Customer Base. 2.1 Achieve desired service level by customer as per call cycle. 2.2 Build and maintain business relationships in-store with all personnel who have an impact upon the company’s business, ie. Owner/Manager Pharmacist Pharmacy Assistants Stock/Receiving Clerks, etc. 2.3 Accurately take stock in-store utilising customer stock cards [use as a tool in negotiating the order]. 2.4 Assist with merchandising: Ensure stock is well presented, Packed and available to the consumer [FIFO principle] by ensuring stock rotation to avoid returns due to expiration of stock. Build impactful and appealing dis-plays to assist the pharmacy to “move-through” stock. 3.4 Keep abreast of competitor activity and report new developments in a timeous manner. 4. Skills & Knowledge: Maintain a level of competency that enables you to perform at the desired level of proficiency. 4.2 Must achieve minimum of 80% in all product and disease entity tests. 4.3 Can persuasively communicate the features and benefits of PCH products. 4.4 Has the ability to influence at all levels in order to obtain favourable changes made where necessary. 4.5 Understands and is able to apply merchandising skills. 4.6 Demonstrates forward planning skills and the ability to prioritize own workload. 4.7 Ability to obtain, interpret and analyse data. 4.8 Ability to write reports. 4.9 Ability to accurately record and control financial budgets. 4.10 Has a sound knowledge of their customer base, their structure and continuing development.